MCLEAN, VA, August 11, 2015 – With enterprises realizing the continued inefficiency of mostly manual, paper-based Accounts Payable (AP) processes, new research sponsored by Corcentric, a leading provider of Accounts Payable automation and electronic invoicing software, provides insight to the top trends for improving the procure-to-pay cycle. According to “Total Transformation: Trends and Value Drivers for AP and Procurement,” written by Ardent Partners, top performing AP functions are indeed driving greater process efficiencies and delivering strategic value to the enterprise. Leading the way is the continued focus on AP automation. 83% of respondents to Ardent’s survey believe that within two years, AP processes will be largely automated. Ardent found that following AP automation, stronger AP and procurement partnerships, evolving AP staff skillsets, and greater involvement in working capital optimization are the top trends for greater efficiency. The research suggests that organizations of all sizes must leverage the strategies and technologies that can jointly transform AP and procurement, leading to significant competitive advantages. 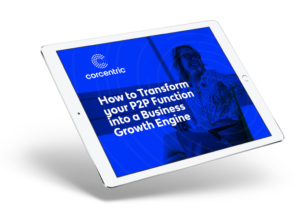 The new white paper can be downloaded by visiting www.corcentric.com/resources/ardent-partners-total-transformationtrends-and-value-drivers-for-ap-and-procurement.